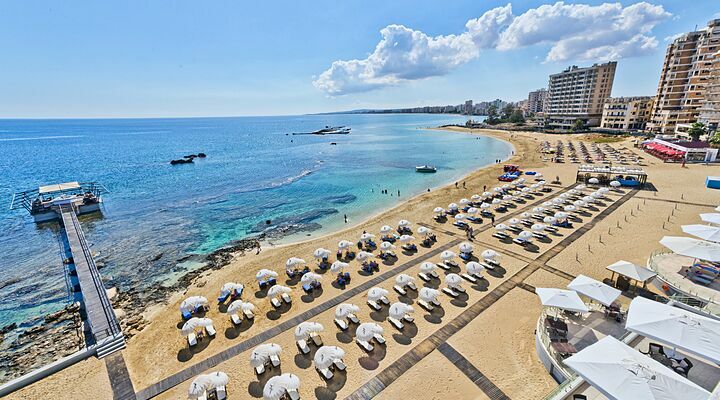 The newly renovated Arkin Palm Beach Hotel earns every one of its five stars for its position on the golden sands of Famagusta Bay. 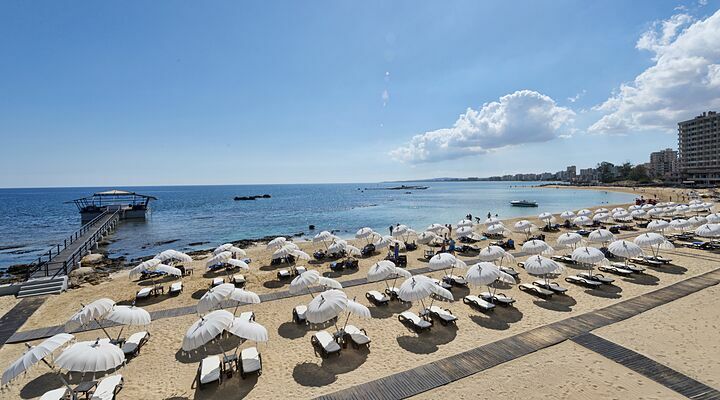 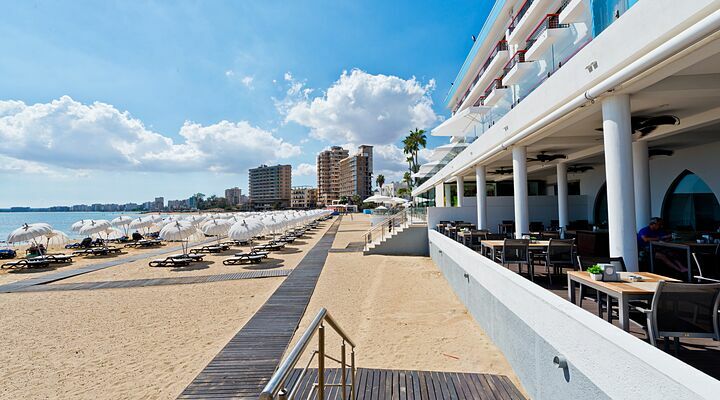 Relax under sun umbrellas on the private sandy beach, or swim in summertime comfort in the pool shaded by tall waving palm trees, all just a short stroll from the fascinating city of Famagusta. 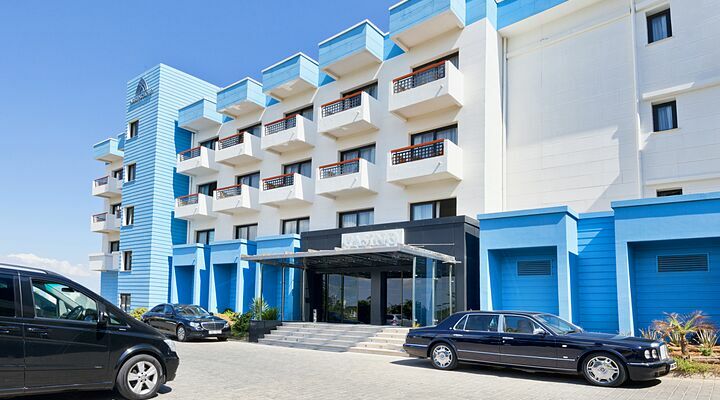 The newest 5* boutique hotel in Famagusta area, Every GNC team member describe the Palm Beach after their visit "A gem of a hotel"! 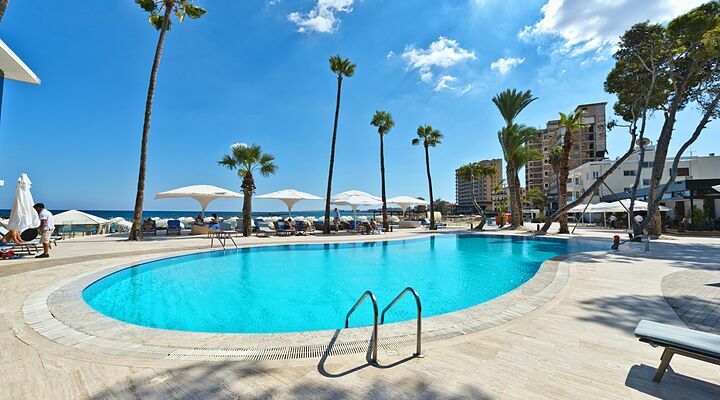 You will not want to leave. 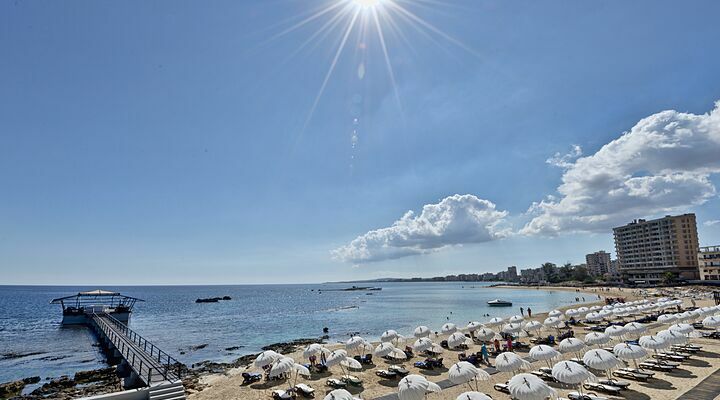 With a rich history of entertaining the rich and famous long before Cyprus was divided, the beautiful beach area attracted stars in the 1950’s-60’s. 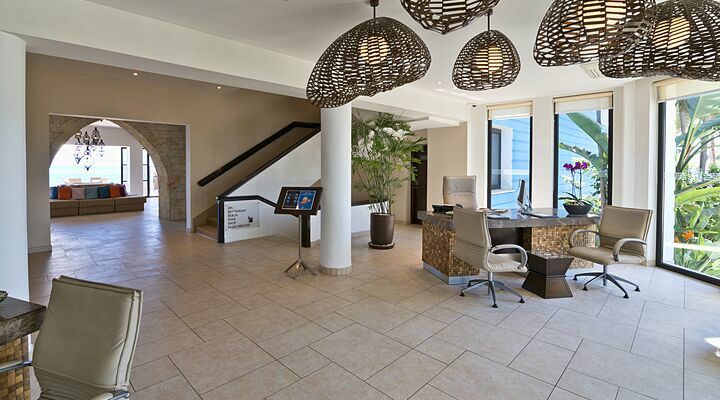 Completely renovated and practically rebuilt, the 5* boutique Palm Beach Hotel sits above a pristine, uncrowned stretch of sandy beach, with efficient and friendly staff ready to treat you like a VIP! 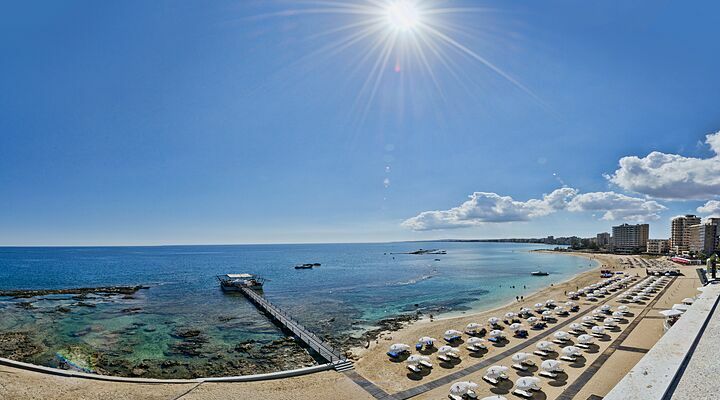 The Arkin Palm Beach Hotel nestles in the southern part of Famagusta Bay, a glorious sweep of golden sand that stretches for miles. 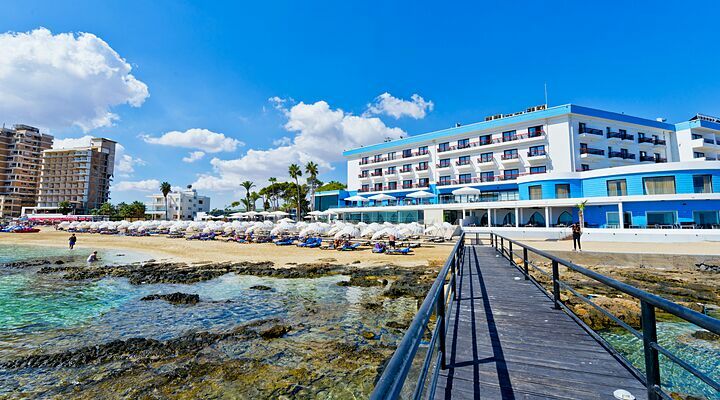 Step out of the hotel and straight onto the beach, for lazy days on a sun lounger accompanied by pretty oriental umbrellas, listen to the gentle wind chimes and the lapping of the waves, or a cooling dip in the sparkling Mediterranean Sea. 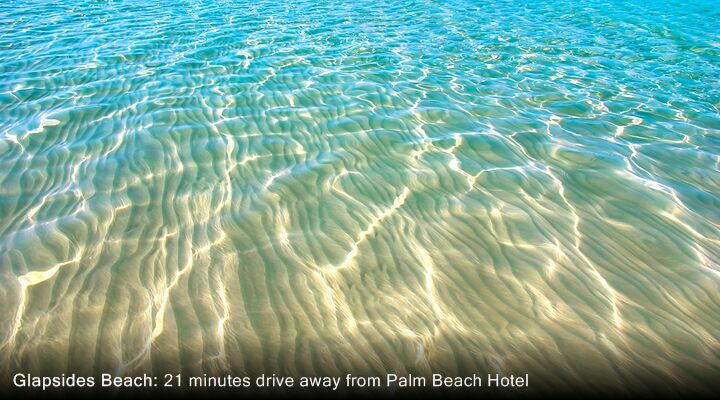 This confirms how clean the sea really is. 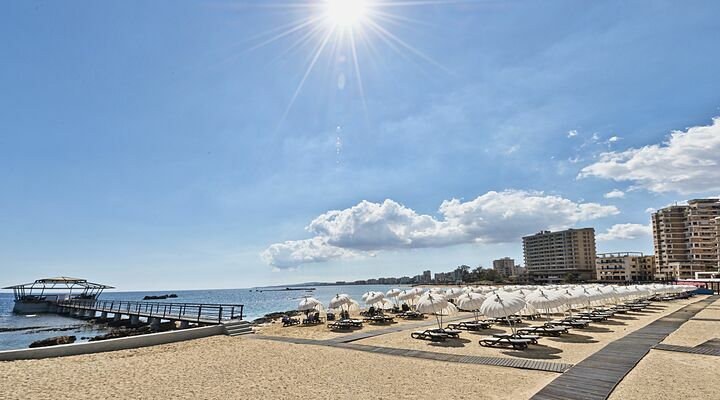 Walk the pristine soft sands of the beach for 10 minutes north to explore the ancient city of Famagusta, with its mighty Venetian walls and impressive towers. 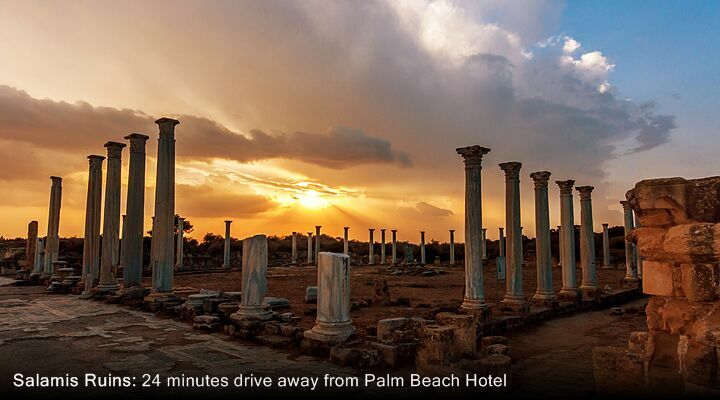 Or, gaze into history at the former celebrity hotspots now untouched in the border 'buffer' zone of Maras. 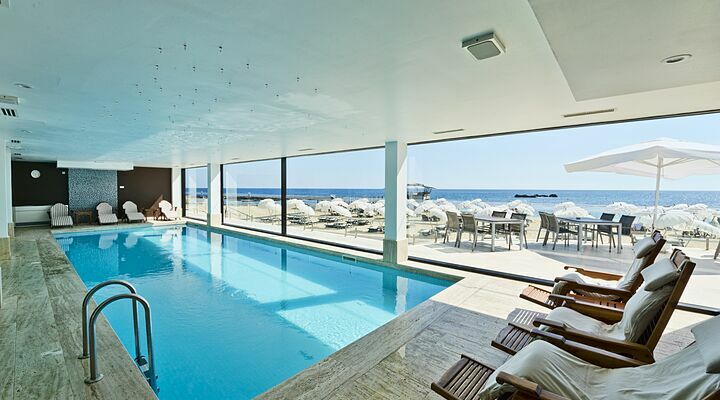 You will even have a chance to witness the caretta Turtles swimming too. 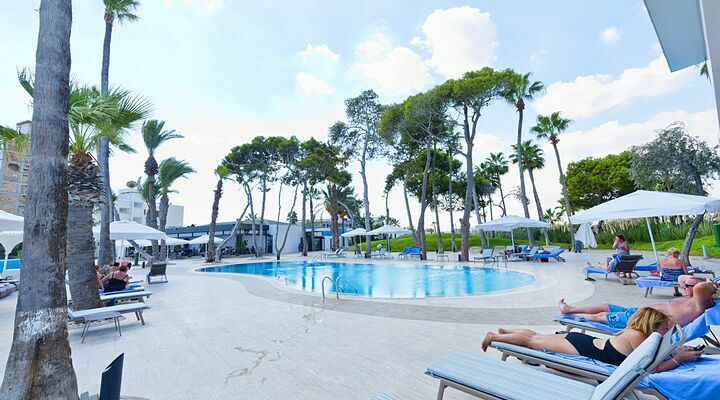 Want more information on holidays at the Palm Beach Hotel? 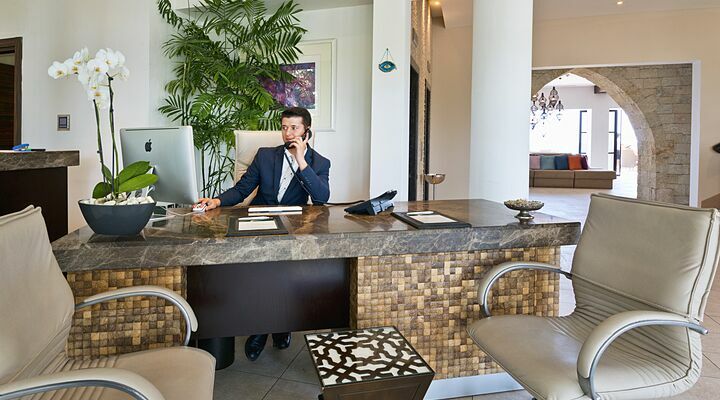 Call Gary or any of the team any questions you like about the Palm Beach Hotel - we're happy to help. 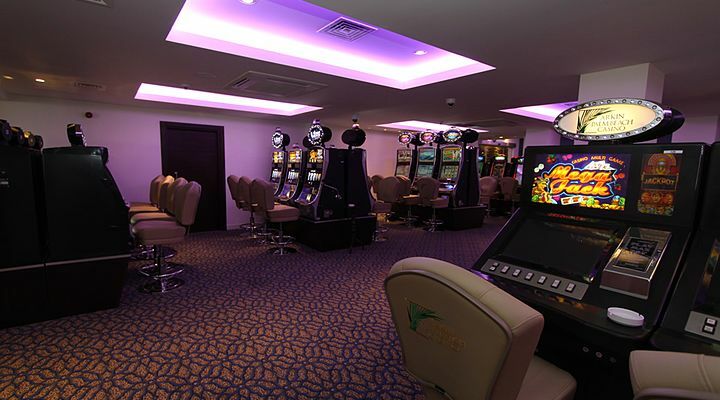 0800 612 6600. 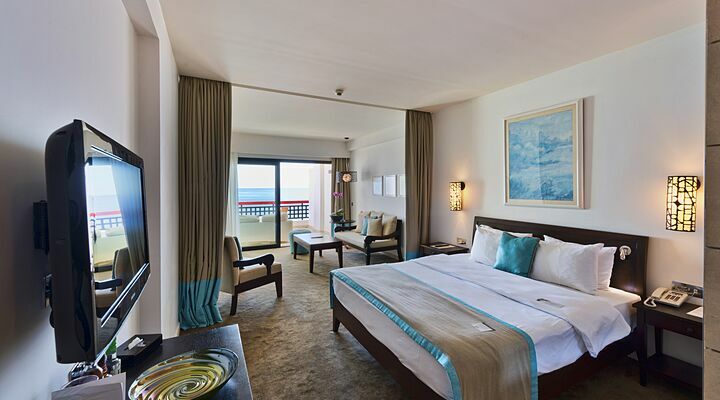 The clean, crisp decor of your Sea View club room at the Arkin Palm Beach Hotel invites you straight away to throw open the curtains and soak up those sea views, or choose a Land View room to overlook the gardens. 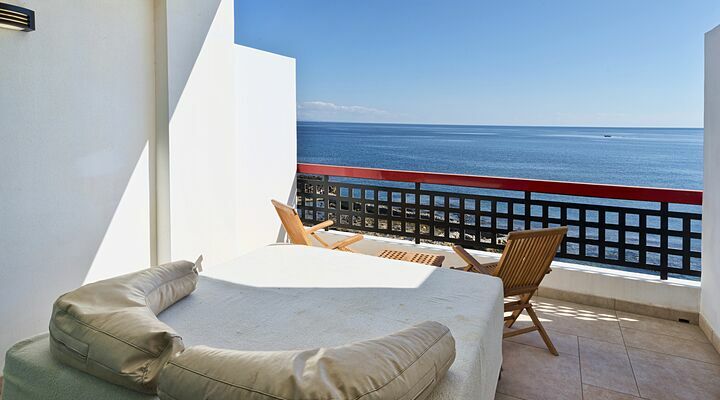 For more space, upgrade to a Junior Suite, with uninterrupted 180 degree views over the sea - stunning. 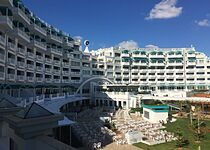 Whichever type of room you choose, you'll have all the facilities you'd expect, including efficient air-conditioning, an electronic safe for your valuables, 100% bathrobes and slippers Molton Brown toiletries, and, that most essential of modern day luxuries, free high speed WiFi internet access. 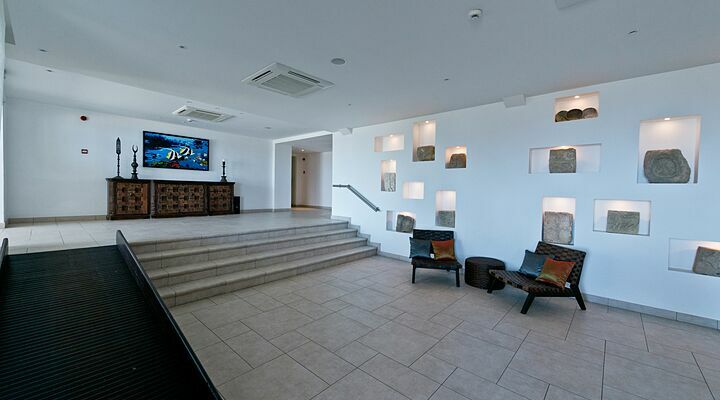 Interactive TV. 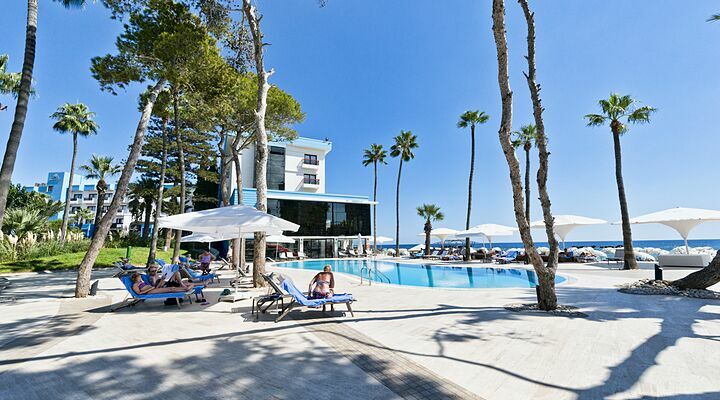 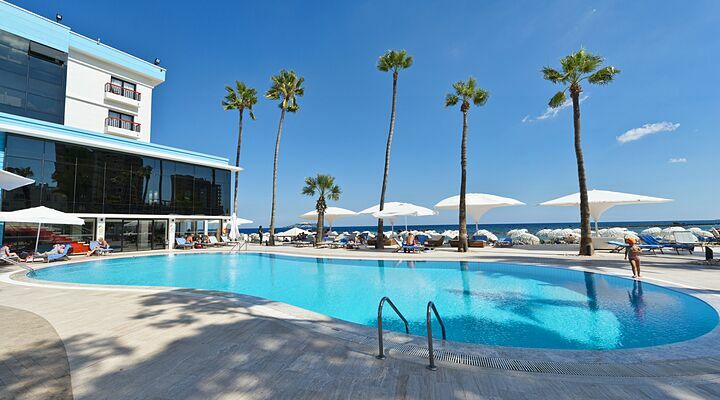 The swimming pool at the Arkin Palm Beach Hotel is smart and stylish, a gently curving oasis of blue with trees for shade and flat edges for views out to sea. 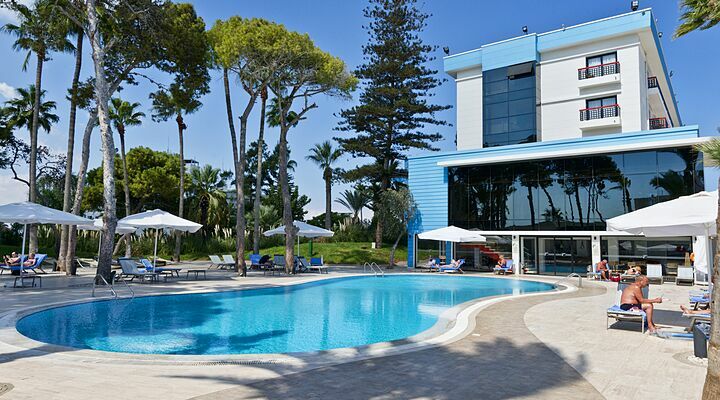 You'll feel like you're swimming in a celebrity's pool rather than at a North Cyprus hotel! 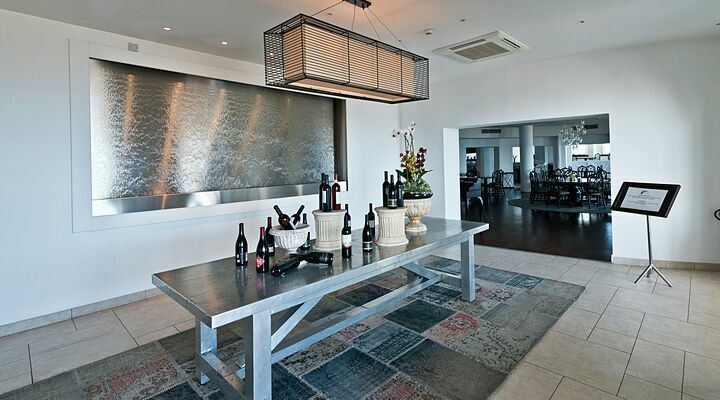 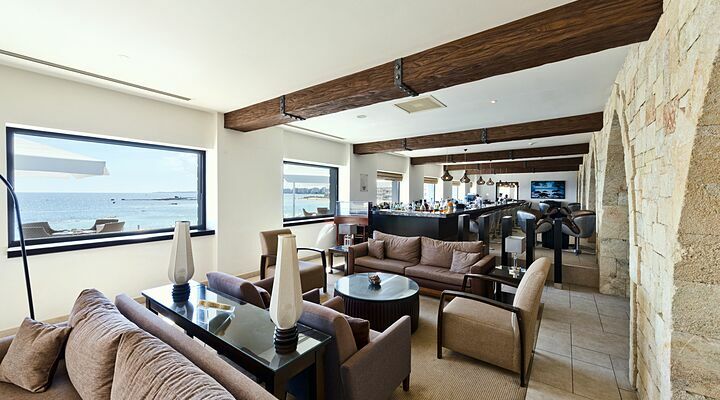 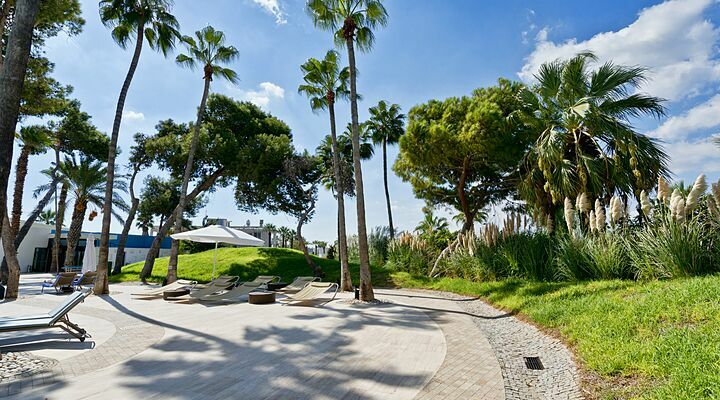 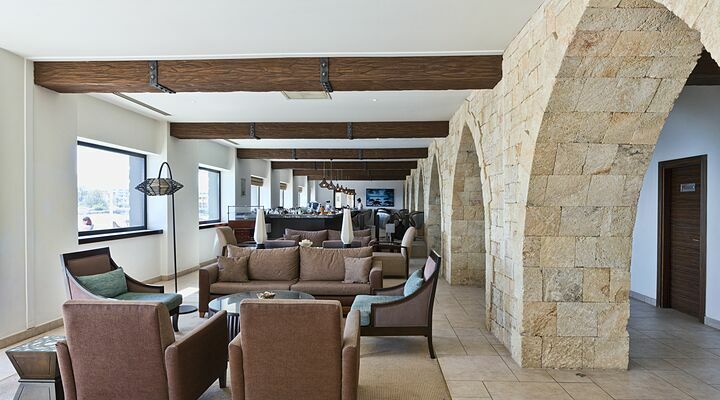 At the Arkin Palm Beach Hotel, you'll be spoiled for choice when you want a cool drink or relaxing pre-dinner aperitif. 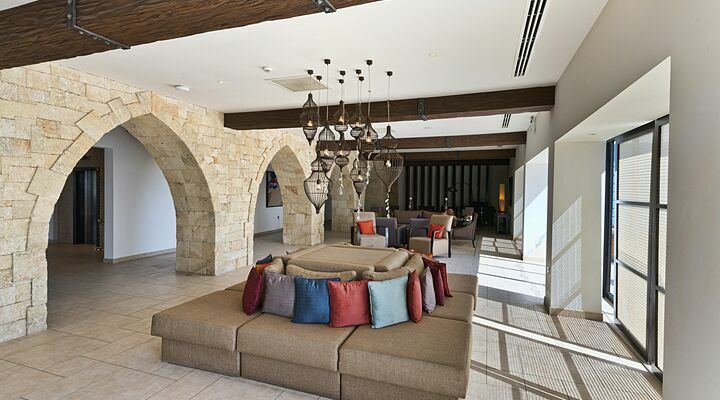 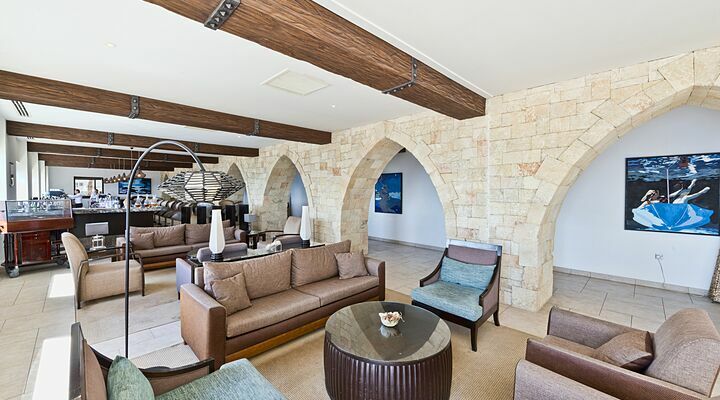 Enjoy the historic atmosphere of the lobby bar with its stone arches, extensive wine list and fresh-brewed coffees. 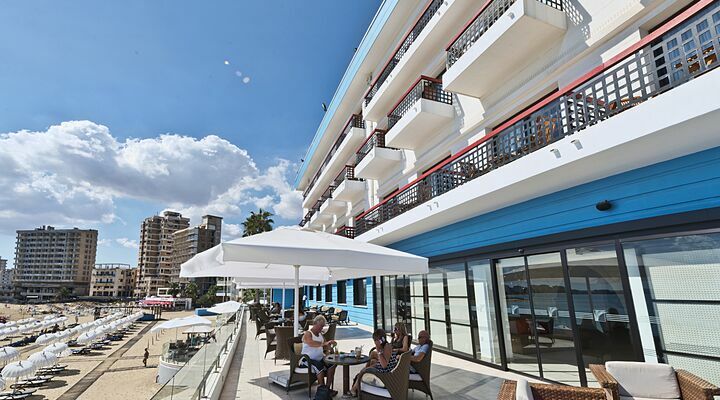 Chill out at the Surf Bar on the beach, or enjoy a frozen Caribbean style cocktail at the Beach Club Bar (which confusingly is actually by the pool!) 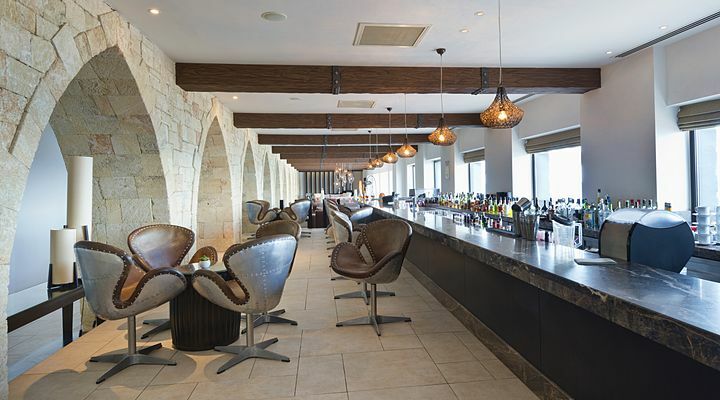 or the Terrace Bar. 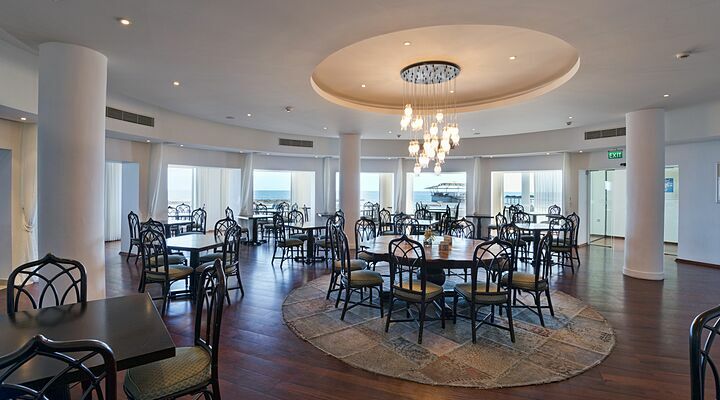 Eating at the Arkin Palm Beach Hotel is a Culinary experience , as the hotel has created very different styles of menus for different times of the day. 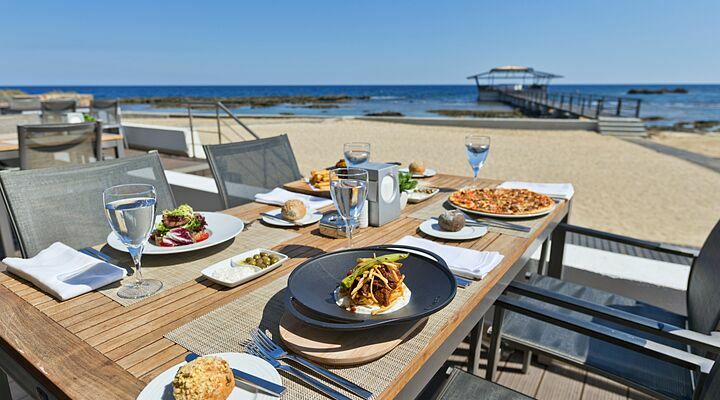 Enjoy al fresco breakfasts on the terrace outside the Restaurant Cascata, or take a break from the beach for a Mediterranean inspired lunch. 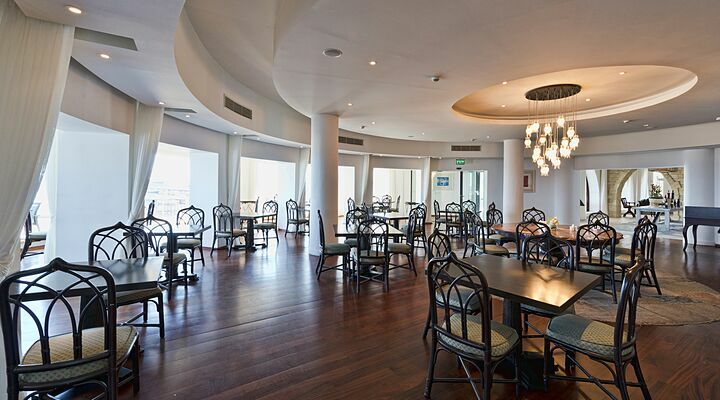 In the evening, enjoy a classy dining experience with dishes inspired by and cooked with fresh, local ingredients. 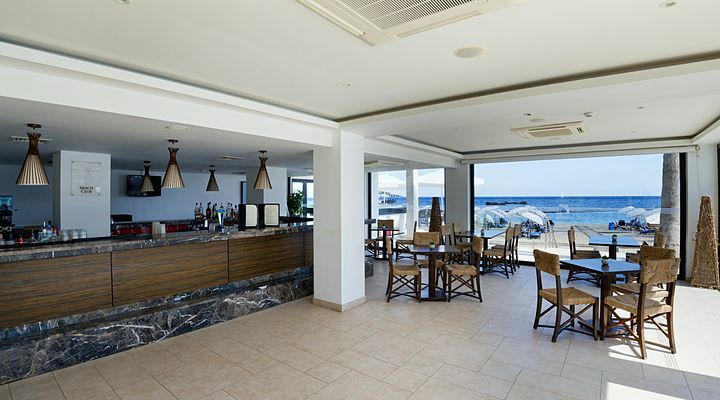 If you prefer lighter bites, the Surf Bar serves deliciously crisp salads, freshly prepared sandwiches and cool drinks for lunchtimes beside the sea. 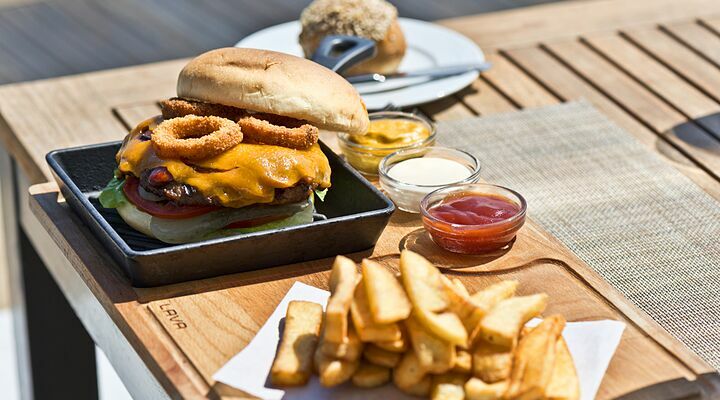 if you're poolside, enjoy a gorgeous gourmet burger and frozen, thirst-quenching drinks, the perfect combination for chilled out summer days in Northern Cyprus. 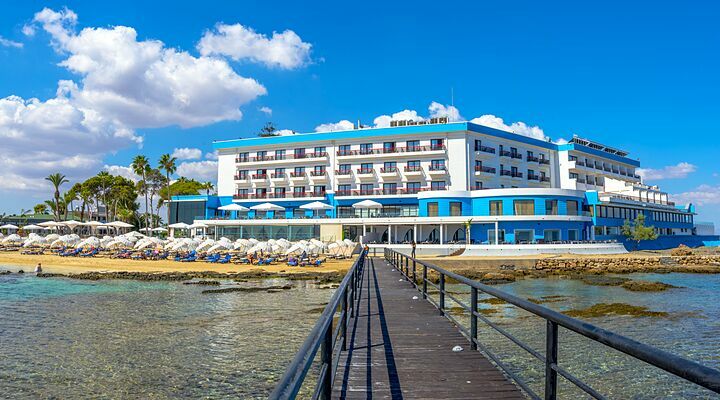 During the summer, you can enjoy al fresco Cypriot menus at the Pier Restaurant, and whatever time of year you visit, make sure you leave room for dessert - the hotel is renowned for serving some of the best on the island! 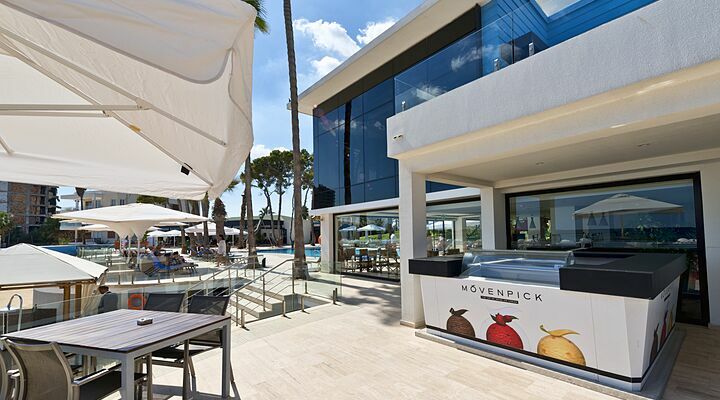 Enjoy cocktails and al fresco entertainment at the Terrace Bar, where the sunsets are as relaxing as the music. 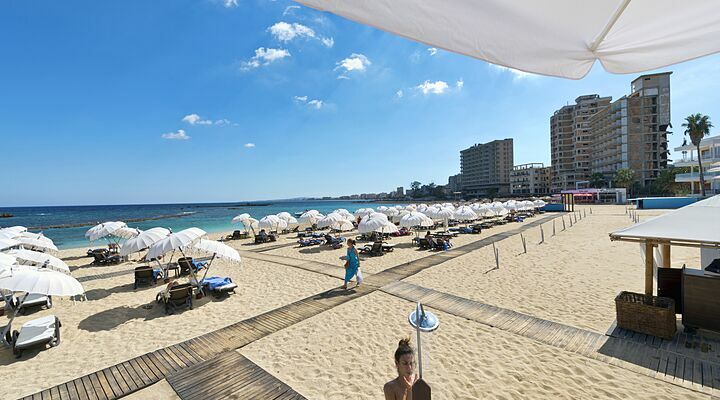 Try your luck in the hotel's stylish casino, or take a short ride by taxi into Famagusta to discover a city with a mix of student population and locals eating in one of the restaurant’s tuck away in cobbled lanes. 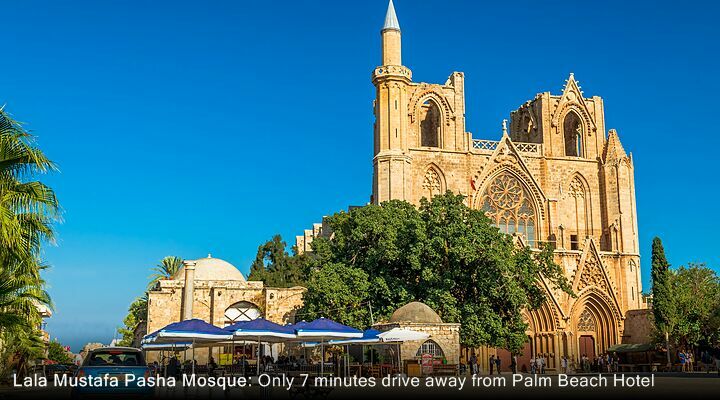 During the day soak up the history of the old town. 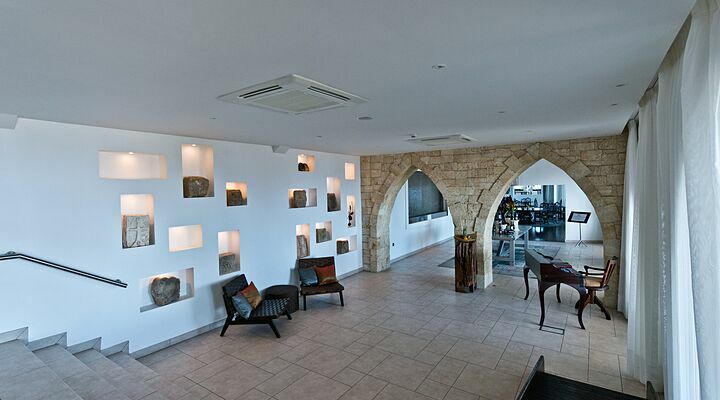 The ancient citadel (walled City) Visit Othello Tower referred to in one of Shakespeare’s plays. 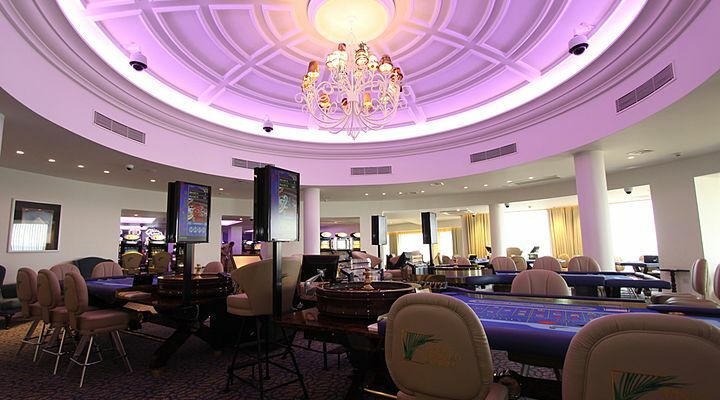 As you'd expect from a completely refurbished 5 star hotel, the spa is an exceptionally lovely place. 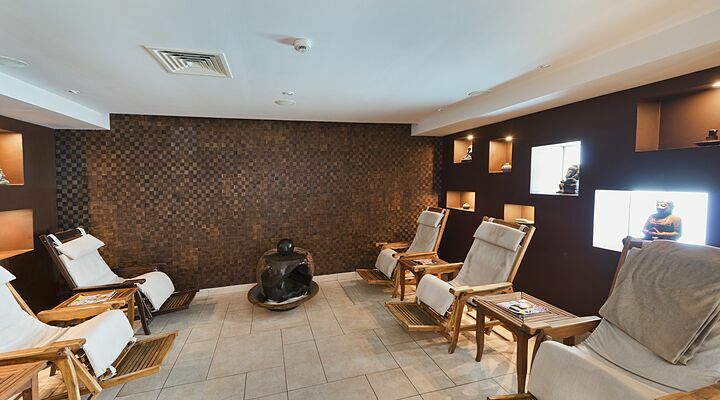 With its own relaxation room and terrace, plus a sauna and steam room, the spa invites you to leave your worries behind and indulge in the sheer joy of doing very little indeed! 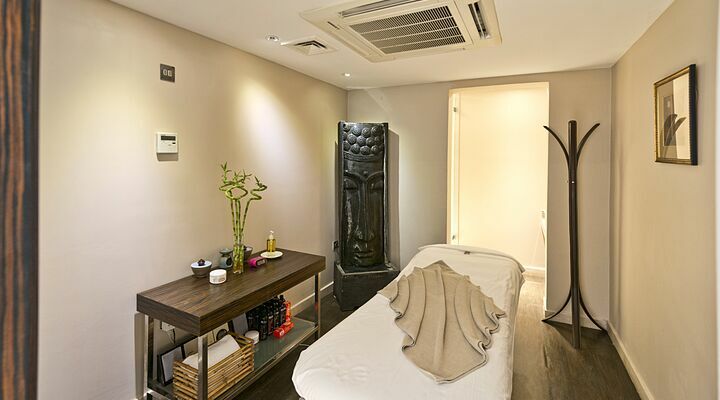 Treat your body to an expert massage or body treatment. 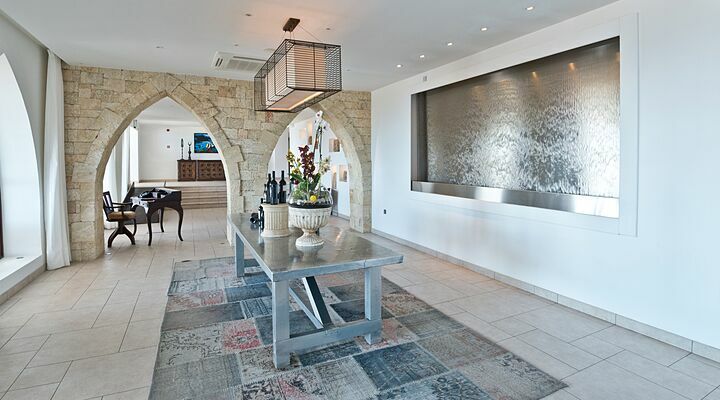 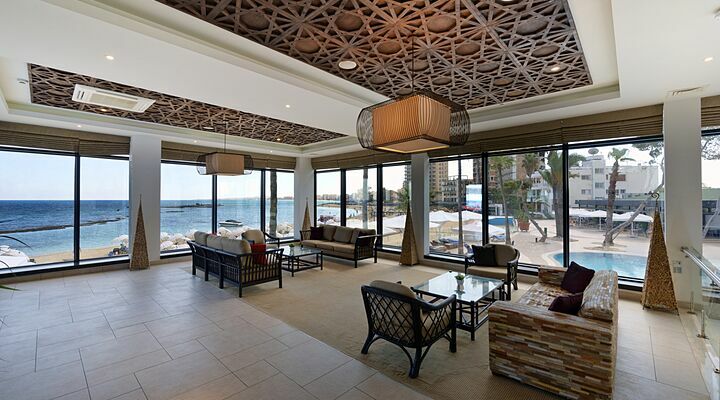 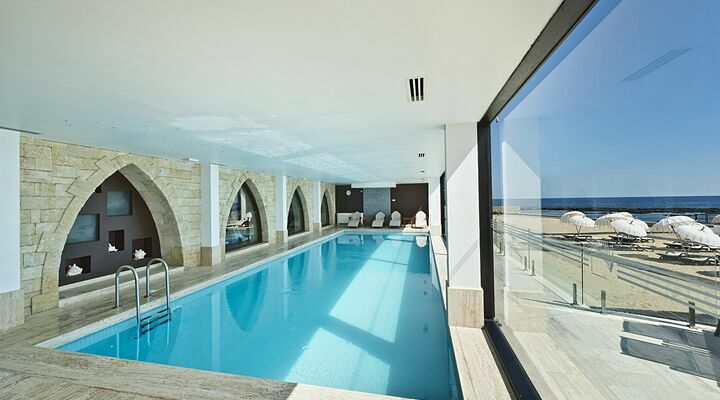 Do a few gentle lengths of the indoor heated pool with glass wall and views out to sea. 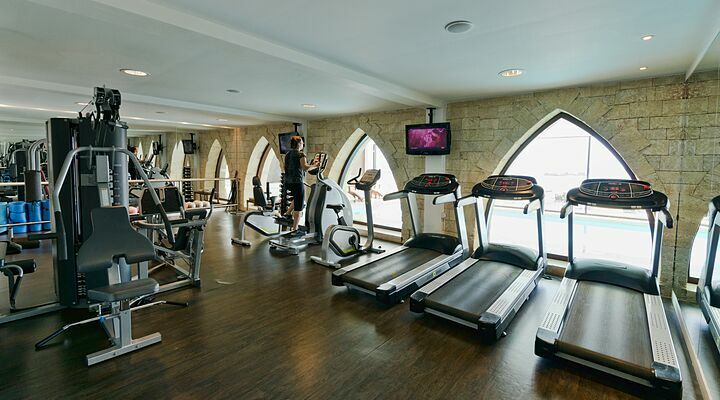 Or work out in the fitness room to keep yourself in trim on your North Cyprus holiday. 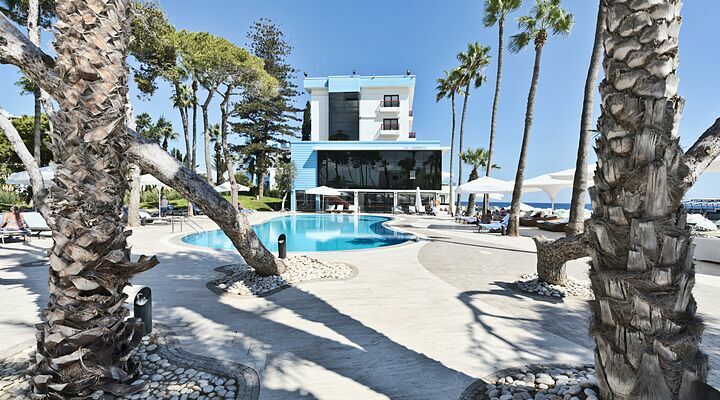 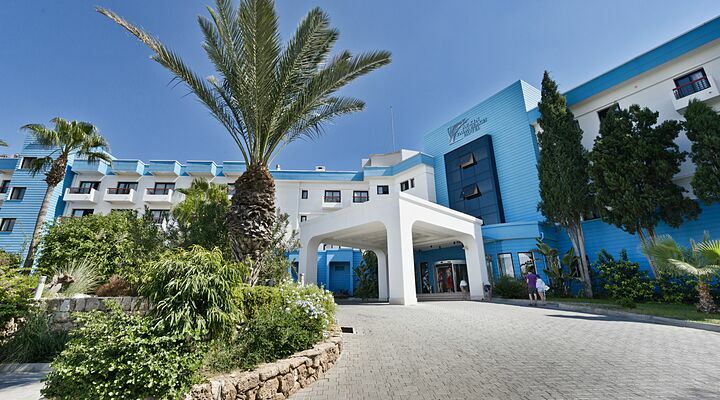 With holidays at the Palm Beach Hotel, you can choose from flights into North Cyprus or Larnaca in south Cyprus. 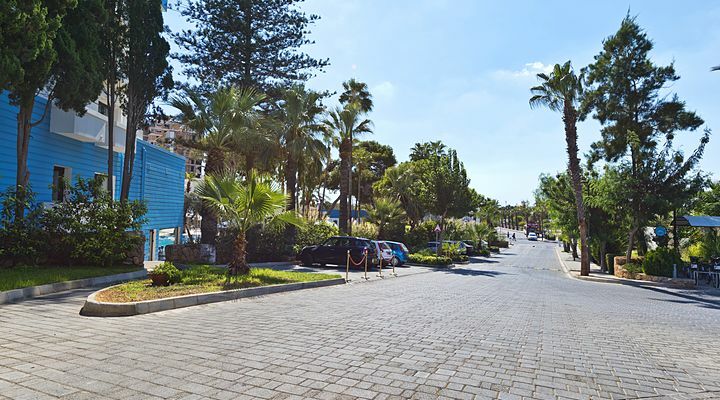 Transfers from Ercan International Airport take around 40 minutes and include a lovely ride across the North Cyprus countryside. 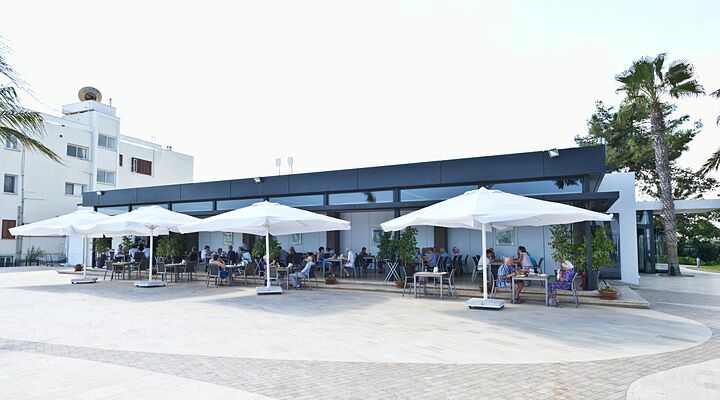 Transfers from Larnaca airport take a little longer, around 60 minutes, and involve crossing the border from south to North. 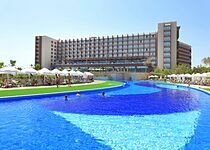 Please note south Cyprus hire cars cannot usually be driven across the border without purchasing additional insurance and breakdown cover. 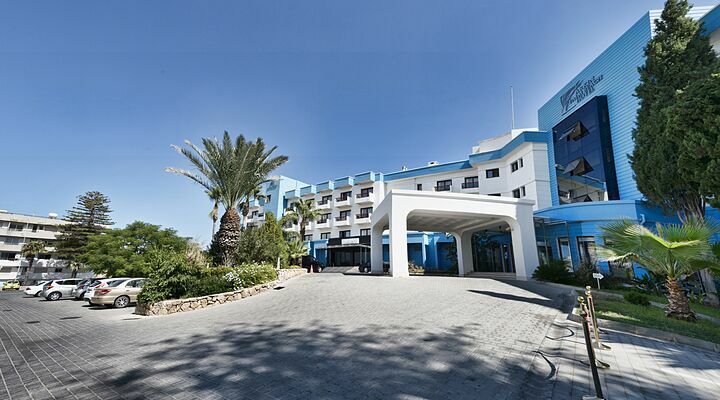 A combination of a taxi transfer to the hotel and North Cyprus car hire is less hassle and often cheaper - ask the GNC team for details.